When it comes to retail, most people tend to pay attention to the ways in which the internet has transformed how we shop. Thanks in no small part to the online juggernaut Amazon, online shopping is now at least as popular as shopping in person, with most major brick-and-mortar retailers offering online shopping. In many cases, you can even purchase your items online and then drive up and have them dropped in your car. But there is another revolution under way, one that is not only surviving in the internet age but thriving in it. It is a revolution of small stores — pharmacies, small inventory grocers, small retail chains — that is changing the shopping landscape in the United States. And it’s only going to get bigger. To appreciate the full scope of this small store revolution, consider some of the major players. Dollar General is quietly conquering rural America, going where even Walmart can’t or won’t. Walgreens, CVS, and other pharmacies can be found along any number of street corners in urban and rural America. German discount grocer Lidl has established a foothold along the East Coast, with plans to expand. And there is, of course, Aldi, which is aggressively spending billions adding hundreds of new stores even as it remodels and revamps its current ones. Taken as a whole, some 70% of shopping trips take place in small stores. How can this be? How are we seeing small stores growing and profiting even as big-box stores are turning online? There are many reasons, but here are a few major ones. Many years ago, a relative noted to me that consumers are motivated by expectation as much as anything else. “If we expect a service to be fast,” he said, “that expectation leads us to be disappointed if it’s not.” He was talking, in particular, about paying at the pump for gas, but I think it is also quite helpful in understanding consumer shopping habits. For a long time, big-box retailers and anchor stores at shopping malls ruled the retail world. The reason: a shopper could get much of what they needed in a single trip. This is still true, but consumers are also more aware now of how much time even that single shopping experience can take, especially when a consumer only needs a handful of items. We’ve all probably been there: you go to a big-box store, you pick up a few items, and you reach the checkout … where you’re standing behind shopping carts with 50 items, all passing through a register staffed by a (possibly disinterested) cashier. You wait there, wasting your life away while the rest of your busy schedule awaits. Big-box retailers have tried to compensate for this problem, but with mixed results. Self-checkout, when available, isn’t always all that fast, either, and it can also be annoying when it doesn’t work right. Express lanes seem to have an irritating habit of somehow taking longer than regular checkout lines. And more innovative approaches, like curbside pickup, still require time picking things out at home and then waiting in the parking lot for the stuff to be brought out. Here is where your small stores have undeniable advantages. A small store almost always has shorter lines — with fewer items per waiting customer — than its larger counterparts, which often means a shorter wait. And smaller stores often are more quick to respond to a growing line; Aldi has the ability to flex workers to the front and open new registers down to an art form, but I’ve also been in Walgreens and seen workers pulled up to an extra register or even another part of the store to get people checked out and on their way. A big draw of large stores is being able to find so much of what you need. But you don’t always need everything. Sometimes you just need a few important things. Smaller stores calculate that, on most trips, consumers usually only need specific key items. Those stores also calculate that they can effectively carry those key items in their limited shelf space. This serves two purposes for the small store: one, it makes the small store a desirable place to get those few things and two, it helps the store save money by keeping a lower inventory. Between those two factors, small stores can turn out a nice profit. One specific thing most, if not all, of these small stores do is work with a rotating inventory. Bigger stores do this too, of course, but the strategy is far more critical for a smaller store that has limited shelf space. Aldi is probably the most popular example, with its well-known Special Buy (ALDI Find) rotation of products that changes week by week and season by season, but other companies do the same. Walgreens, for example, often keeps a center aisle of seasonal products. Stores like Family Dollar and Dollar General also have aisles reserved for the specific season, whether it be coolers and garden fare in the summer or holiday decorations in the winter. These stores also often find ways to add elements beyond their primary inventory. Walgreens and CVS, which carry an array of items, also offer other services on-site, from the obvious pharmacy element to things like small-scale medical clinics. Aldi is known to rotate in furniture, small appliances, and even hardware as part of its Special Buy (ALDI Find) inventory. And virtually all of these small stores now have at least a core stock of groceries: Dollar General, for example, sells a wide variety of basics, which is essential to that company’s business since a number of its stores operate in rural areas that are far from larger grocery stores. 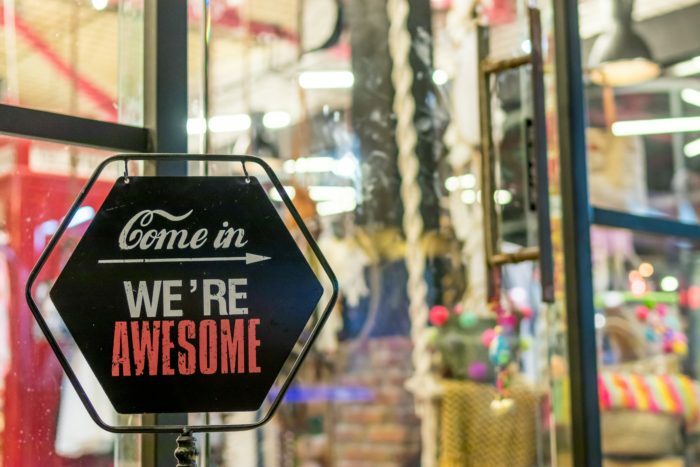 Because smaller stores need less space to operate, they can situate themselves in places larger stores cannot: inside strip malls, on smaller pieces of property, and along street corners. Many of these properties are closer to residential areas than the larger tracts of land needed by big-box stores, making for a shorter drive to the store or even locating stores within walking distance of homes in some neighborhoods … and there is less walking once you’re inside the store. Dollar General is particularly savvy at this, placing itself in far-flung areas where other retailers simply won’t go. One of the knocks on smaller stores in the past was that their prices were often higher than bigger stores. This is especially true of gas station convenience stores, which typically charge more for basics than, say, Walmart or Target. But small store chains have been able to narrow that gap considerably, thanks in part to those store chains’ ability to negotiate in bulk. The major companies we’ve talked about so far — Aldi, Dollar General, Walgreens, CVS, Lidl, etc. — are able to bulk purchase their products from suppliers, which lets them keep prices low … or, in some cases, at least low enough. What’s more, nearly all of them now keep a healthy stock of their own house brands on many items. Retail in America is a constantly changing game as companies fight for consumer dollars in the open market. The internet is and should continue to be a major player in the retail market, including the grocery market, especially with the growth of curbside pickup. But small chains are a real force on the shopping scene, and their influence doesn’t seem likely to diminish anytime soon. It’s not a bad time to be a consumer.